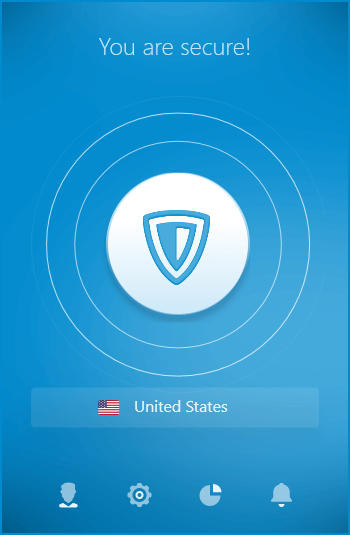 ZenMate VPN is a robust VPN that can protect your privacy when online, removing the threat from snoopers and hackers. It doesn't have the more advanced features of some of its contemporaries, but it is simple to use and offers a wide range of servers to connect to. There are many Virtual Private Networks (VPNs) out there, but ZenMate VPN tries to differentiate itself on performance, anonymity and ease-of-use. It doesn’t maintain any logs of your activities and it gives an almost instant, two-click setup. While it’s certainly easy to use, we found that disappointing internet speeds prevent ZenMate from being one of the best VPNs to choose. 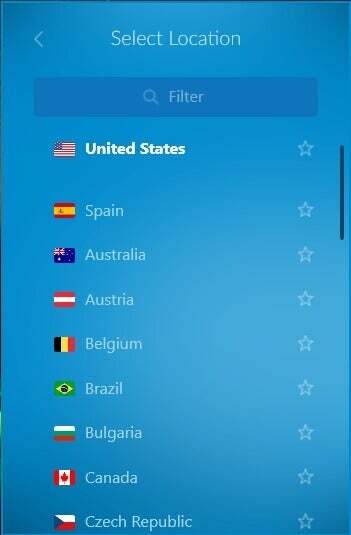 ZenMate VPN protects your connection from Internet snoopers, but also disguises your IP address and your location, giving you a little more privacy and anonymity while you’re online. That’s a real plus if you’re worried about who might be tracking what you do or say while you’re connected, but it can also help you access US-based services if you’re travelling abroad or connect to blocked sites if you’re in a country where the internet is censored. ZenMate VPN works across Windows and macOS PCs and iOS and Android phones and tablets. 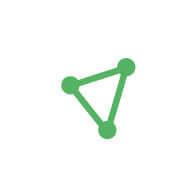 Like any VPN, it’s designed to set up an encrypted link between your device or computer and a VPN server, which then connects to the wider internet. For added security, premium users get a Web firewall package with ad-blocking and tracker-blocking thrown in, though this involves a separate download. This blocks ads from loading and prevents websites from following your internet activity, while also blocking sites that host malware. ZenMate VPN also has free browser extensions for Chrome and Firefox, though finding the free option isn’t obvious from a casual look at the website. These allow you to use the basic VPN services for free with these two browsers, but you only get four server locations and have to put up with slower speeds. While we wouldn’t pick out ZenMate VPN as a best-in-class VPN service, it’s still a decent choice, doing all the basics well. Ease-of-use is ZenMate’s biggest plus point. From creating an account to setting up the apps, this is one of the easiest services we’ve tested. It’s simple enough to select a server when using the app, too. ZenMate has a good number of servers in a wide range of locations, with more available in key areas such as the US, the UK and Germany. The EverSecure and KillSwitch features also give you confidence that, should the VPN fail for any reason, your true IP address and location won’t suddenly be out in the open. 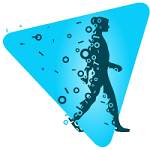 A few key drawbacks hold ZenMate VPN off of true greatness. Most seriously, we found that internet speeds can be very inconsistent with ZenMate enabled. Even with a VPN server in the same country, we saw a 45% downgrade in connection speeds. Transatlantic connections were painfully slow at one moment, then surprisingly fast at another – on average, we tested a speed dent of over 60% when using transatlantic servers. More experienced VPN users in particular may appreciate some upfront detail about the terms and practises of a service, before signing up. ZenMate, however, doesn’t give a lot of information about which VPN protocols it uses, and its privacy policies are hard to decipher. Fortunately, the service does make it clear that it doesn’t log activities. Though ZenMate claims to unblock US Netflix if you use a US VPN server from abroad, in practice we found this didn’t work or that devices simply wouldn’t connect. If you want to watch Netflix from another region, check out one of our recommended VPNs. At $11.99 ZenMate VPN is an expensive VPN paid month by month. But, if you pay annually, costs fall to a much more manageable $72 per year (or $5.99 per month). While not quite as cheap as Private Internet Access, it’s still one of the more affordable VPNs around. To its credit, ZenMate VPN is easy to sign-up for and then install. When you join, you’re sent an email address with a password, and from there on it’s just a question of downloading and installing the PC app. There are browser extensions for Google Chrome and Firefox as well, and you can install the mobile app from the iOS App Store or Google Play Store. The PC app itself keeps things simple with a big, central button with a shield to connect and disconnect plus a menu of locations you can click on to select a new server. There are settings to switch on the EverSecure feature, which forces the VPN to reconnect every time your browser or an application connects to the Internet, plus the KillSwitch which kills live connections when the VPN disconnects. Otherwise, it’s just a case of click and connect. It’s hard to strongly recommend ZenMate VPN when rival services do a better job for a similar price. It doesn’t really do anything that badly, but it’s not as speedy as claimed and it feels a touch basic. Given the fierce competition in the market, you could easily find a better VPN.